Have convenience food and the culture of eating out killed our confidence in the kitchen? The signs are that we're losing food skills that make home cooking easier – and it's not good for our health, says Clare Collins, a professor of nutrition and dietetics at the University of Newcastle. "Last year we did a national survey on cooking and food skills and how they relate to diet and found it wasn't the actual cooking that was a problem, it was the other skills that were lacking like planning meals ahead, being able to improvise with what's in the pantry or knowing what to do with leftovers," she says. "If people look in the fridge there's often the makings of a meal in there – but they can't always see it. This is why companies like Hello Fresh and Marley Spoon that deliver meal ingredients with a recipe card have been a success – they don't do the cooking but they do the thinking. " The trouble is as our food skills are shrinking, our waistlines are growing. "Research has found that people who regularly make their meals at home have better diets, and consume less salt, sugar, fat and kilojoules compared to people who rarely eat home-cooked meals – and this is more likely to result in a healthy weight," Collins points out. It's not just Australia that's losing its way in the kitchen. When researchers at Belfast's Queen's University looked at the links between food knowledge and diet, including what deterred people from cooking from scratch, lack of confidence was high on the list. Other reasons? Feeling daunted by time constraints – and the potential for kitchen chaos if they had to juggle cooking with supervising the kids. Many young people are growing up thinking cooking is complicated and that you have to stick to rules and recipes. "It's only in the last two generations that it's been an option to feed your family without cooking, thanks to more convenience food," says Collins. "We think it's progress but it's come back to bite us. But we can't turn the tap off with convenience food unless we have cooking skills." Around one-third of our food budget now goes on takeaway food and eating out. As for who's eating the most food prepared out of home, a survey by the Dietitians' Association of Australia last year found that 28 per cent of people aged 18 to 34 – the Millennials – were eating out or ordering takeaway three or more times a week compared with 10 per cent of older generations. This is the generation which was born into a time of food abundance – and it's not a great training ground for improvising with leftovers, says Thea Soutar, chief executive of the Youth Food Movement (youthfoodmovement.org.au), which uses social media and partnerships with local councils to get young people cooking – not just for their own benefit, but also to reduce food waste. "It's austerity that encourages creativity with food – just think of all those earlier generations forced to hone their food skills because of food shortages caused by wars and depression," says Soutar. But we've also put cooking on a pedestal and made it look too hard. "Many young people are growing up thinking cooking is complicated and that you have to stick to rules and recipes," she says. "It's got something to do with the growing phenomenon of idealising chefs and so many Instagram images of beautiful food – it sets the bar for cooking really high. Younger people have begun to see cooking as this big intimidating thing that's too difficult." 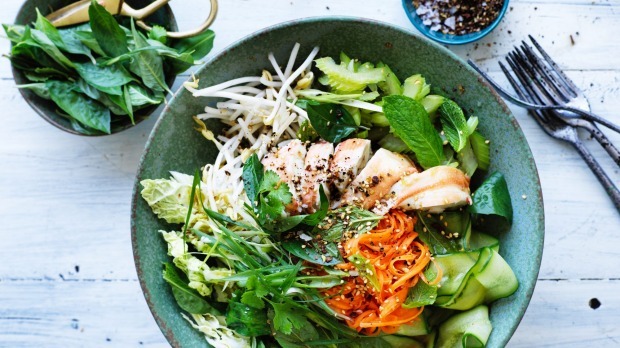 "We've become such a foodie nation that we think every dish has to be a masterpiece," says Melbourne-based dietitian Joel Feren. "Eating at home is like a gift to your waistline – and your wallet – but a lot of people don't know where to start and I think that sometimes it's fear of failure. Although I love MasterChef, contestants can be chastised for failure on the show and I wonder if it deters some people from having a crack at cooking." Could it also be that traditional ways of passing food skills from one generation to the next are falling away and we need to find new ways? "I've done three different focus groups with young adults on cooking and the message coming out is that they're less confident. Around half said that they'd watched their parents cooking but had never been taught to cook by their parents," says Margaret Allman-Farinelli, Professor of Dietetics at the University of Sydney's Charles Perkins Centre. "In focus groups we did on vegetables we found that people didn't know which vegetables to choose, how to store them or how to cook them – so it does suggest there's less transferring of cooking skills." Not knowing how to stir-fry broccoli may seem like no big deal – but arriving at adulthood knowing your radish from your beetroot and how to use vegies in a meal puts you ahead when it comes to making healthy meals. One reason why studies link home cooking to better health is that homemade meals are likely to include more vegetables than meals prepared out of home, says Allman-Farinelli. "There's been a shift in our eating towards high energy density diets that include added fat, starch and sugars and a shift away from fruit and vegetables – yet fruit and vegetables contain a lot of water so you get a bigger volume to satisfy your appetite, while a lot of processed foods are high in kilojoules but don't have the same level of satiety," she says. 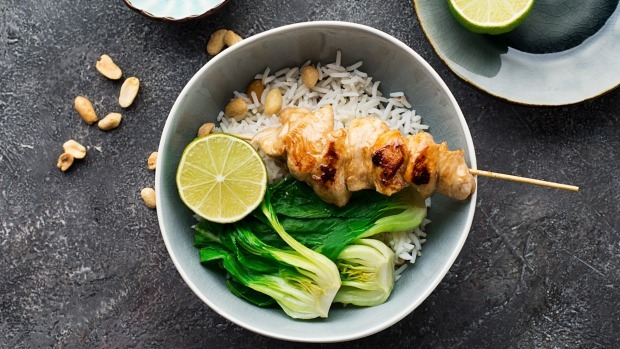 "Surveys looking at what drives people's food choices have found that taste is the first thing, followed by convenience then cost – as one man said to me in our focus groups 'we're all well-intentioned about buying ingredients to cook dinner at home – but then we pass a takeaway and see food already prepared and you think why don't we do this?' " she says. Back in the 1960s we wouldn't be having this conversation. But more families now have two working parents, so there's less time to cook – or teach kids to cook – and a food industry eager to jump in with convenience food. But short of turning back the clock or sinking into a society that shoos women back into the kitchen – hello The Handmaid's Tale – how can we halt the decline in food skills? "Teaching kids to cook in school is one option but opinion is divided because the curriculum is already crowded," says Allman-Farinelli. "But I think there's value in teaching kids to cook at weekends when there's more time – and also getting them to see eating as a shared pleasure, not just refuelling in between doing other things." We also need to help kids develop other food skills beyond cooking, says Clare Collins. "A good message for grandparents is 'don't just make chocolate chip cookies with the kids – get them to do an audit of the fridge or pantry and show them how to put a meal together as well'." As for what works for young adults, it helps to make cooking social – and game-ify it, says Thea Soutar. "We know that Millennials aren't always great at improvising so one example is our Salvage Supperclub campaign where a group of friends get together, each bringing one random ingredient from their fridge – and then come up with a meal that works using all those ingredients. We do it every day in the office and have sometimes ended up eating kimchi pasta – but it's a way of showing people that you don't always have to stick to a recipe. When we're cooking with friends we give each other a license to play and have fun with food together and no one judges you." But standard tips like having a meal plan for a few nights of the week may not suit Millennials whose lives are often unpredictable, Soutar points out. "You're better off teaching them about using leftovers or how to choose and use 'longevity ingredients' – meaning the vegetables that keep the longest like cabbage and sweet potato and the pantry ingredients you can easily base a meal on like cans of chickpeas and tomatoes." Over the past three years around 150 women from Queensland's Country Women's Association have been showing people in their communities how to improve their cooking skills, eat more vegetables and fruit – and reduce sugar. One of them is Rose Aston, a small business owner from the town of Gin Gin near Bundaberg who's been teaching girls in year 6 from the local school how to cook simple meals like carrot and potato roesti or quiche with garden salad, using more vegetables. "I think you get a domino effect – some of these kids are now cooking healthy food for their parents. Our theme is 'today we learn, tomorrow we lead'. There's so much readymade food available now and I think our food traditions are dying. If we don't take care of them they'll disappear – and I think we need to do it through schools," she says. Like other volunteers, Aston was trained by dietitians as part of QCWA Country Kitchens (qcwa.org.au/countrykitchens), a program funded by the Queensland Health Department to harness the CWA's strong connection to rural and remote areas of the country where rates of overweight and obesity are higher than in cities. The volunteers host events in their local communities including "Foodie Talks", which get people together and show them how to easily tweak their recipes to make them healthier. "We found that although people knew they needed to eat more vegetables they thought that steaming vegetables or making a salad were the only ways to do that so we've shown them how to incorporate them into family favourite recipes," says dietitian Fiona McKenzie, program co-ordinator for Country Kitchens, which has now reached more than 14,000 people in regional, rural and remote Queensland. "I think cooking needs to be a family activity – we're all time-poor but cooking is a way of doing something together," says Janelle Reeves, a former teacher from Kingaroy and volunteer with Country Kitchens who believes teaching children food skills early is essential. "I still use things I learned back in cooking lessons in year 9. My kids are 10 and 12 and they can cook simple things like scrambled eggs and muffins but I also involve them in planning – I do a meal plan each week and it includes their input. " Country Kitchens is releasing its own cookbook In My Country Kitchens (qcwa.org.au/countrykitchens/cookbooks) in July. Build a repertoire of simple dishes. 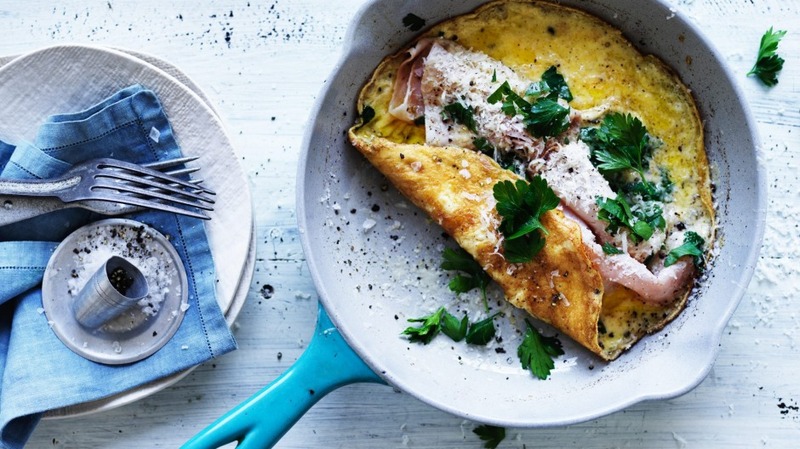 "The key to getting midweek dinners on the table fast is learning to make meals you can do in 20 minutes with just four or five ingredients – start with an omelette and a pasta dish," says Joel Feren. Learn the art of assembly. "You don't always have to cook to make a healthy meal – take some leftover rice, add some canned legumes and tuna or leftover meat and toss it in a dressing with leaves and vegies and you've got a Buddha bowl," he adds. Practise two or three "flexi-meals". 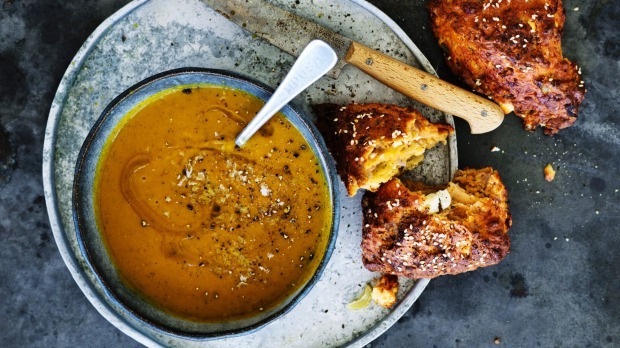 "These are meals like a curry or soup which can be adapted depending on what's in the fridge and where there are few rules – it's about understanding the basic principles of what's in the dish and then you can play from there," says Thea Soutar. Know your "longevity vegies". Carrots, green or red cabbage, capsicum, sweet potato and beetroot are among the stayers of the vegetable world. No leaves for a salad? Make an Asian slaw with grated carrot and beetroot and a drizzle of oil and tamari – or just roast some capsicum and root veg. And don't forget to keep a stash of frozen veg in the freezer – they're convenient and good for you, Feren says. Cook with friends. "The learning highs and lows become shared and you can borrow tips from one another," says Soutar. Do something small, joyous and satisfying in your kitchen. Sprout mung beans, herbs or spring onions on your kitchen window and you'll feel like a pro. "Great for building confidence and curiosity about food," she says.